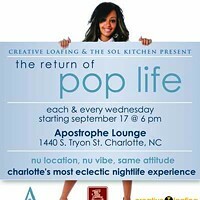 Inject your normal nightlife with a dose of "pop" at Pop Life. 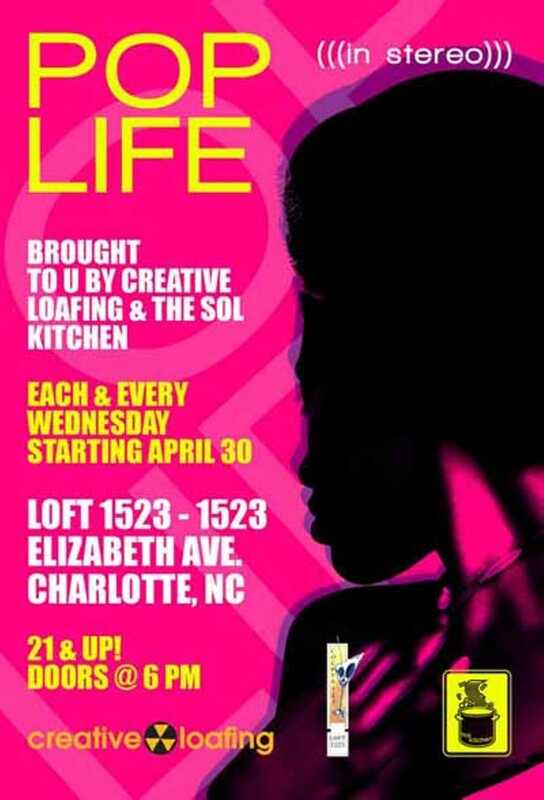 Held every damn Wednesday at Loft 1523 (1523 Elizabeth Ave.), Pop Life is your weekly opportunity to experience art, drinks, cool vibes, cool people and the best (seriously) and most eclectic blend of music Charlotte. 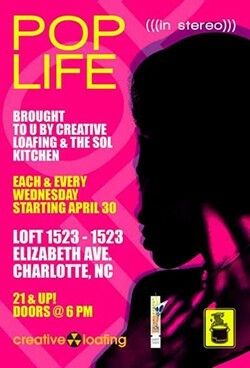 So escape the Top 40 crap for a minute and be a part of something different. Oh, and it's free. Come on. You know you want it.